The unforgettable excitement of the holidays is brought about when getting into a dress, unlike any other dress worn during the year. 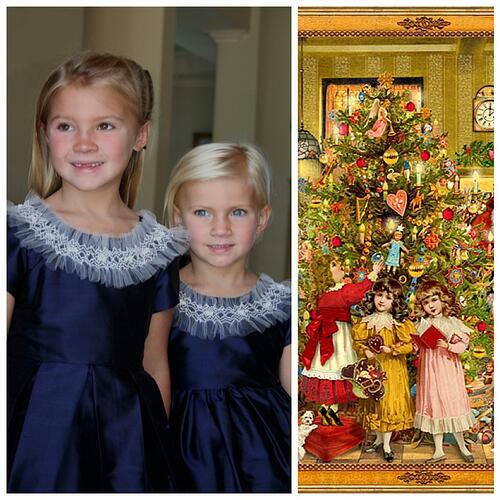 This dress is special and it builds the anticipation of good things to come, whether it be going to grandma’s house on the merriest day of the year or however each family chooses to celebrate the holidays… the Nutcracker, family parties, caroling, or a trip to New York. These fanciful dresses and coats provide a moment in life to be a princess. They will be added to the memory of those celebrations and something to be shared as she gets older. 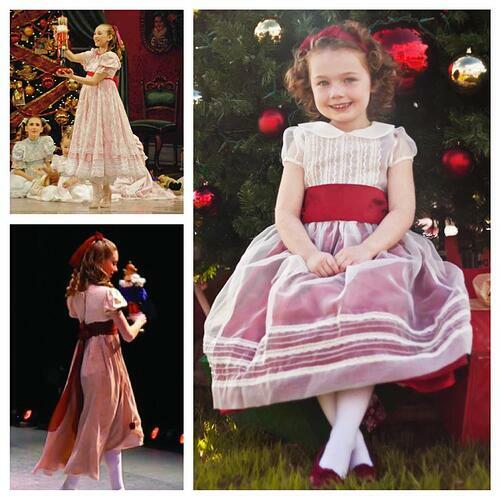 Each dress in the pictures is an interpretation of what we love about the holidays…the lights, the shows, the snow, the gifts wrapped in giant red bows…festive get-togethers, well-decorated homes, storybook classics and special trips to iconic holiday destinations. What do you love about the holiday season? Giving Tuesday, a national day of giving, is December 2nd. What a great way to remind us of our good fortune and give us an opportunity to take a break from our busy lives to donate or contribute to the many worthy causes that benefit people around the world, as well as those closer to home in our own communities. December also marks the beginning of the holiday gift-giving season, another great opportunity to give back, with gifts that benefit others every time we purchase them and make us feel good about ourselves. 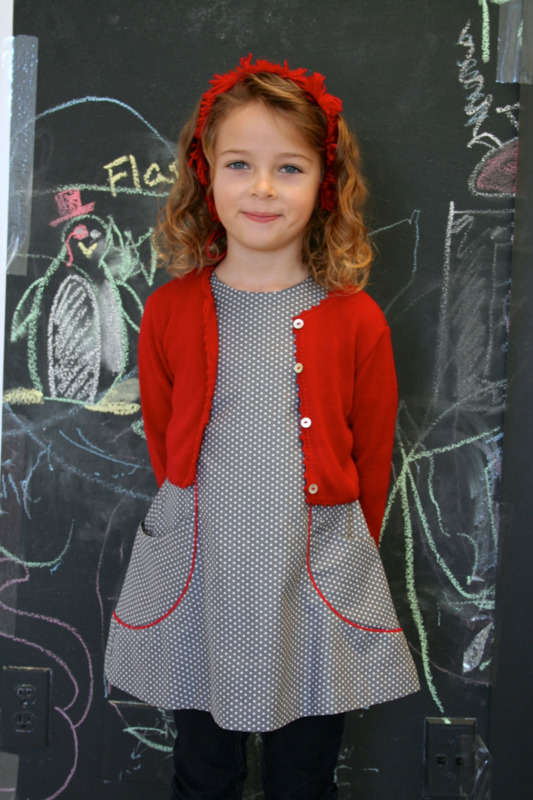 When we first introduced our luxury children’s clothing in 1990, social enterprise companies, like ours, were virtually unheard of. Since then, the social purpose movement has gained much momentum. I am proud to be a pioneer in this growing movement and it makes me happy to see so many appreciating the difference when it comes to ethical manufacturing. With your enthusiastic support of our brand, we have proven that social enterprise works. When we started, we worked with a group of 21 underprivileged women in Chile, true artisans, to create a small collection of exquisitely appointed, hand-embroidered girls dresses. Today, the Isabel Garretón dresses, coats, matching purses, and other accessories that you found and purchased in the finest department and specialty stores in the country have helped us support more than 100 Chilean women and their families. Social responsibility continues to be woven into each and every Isabel Garretón garment, making it possible for these hardworking, talented women to break the cycle of poverty, provide for their families and educate their children. 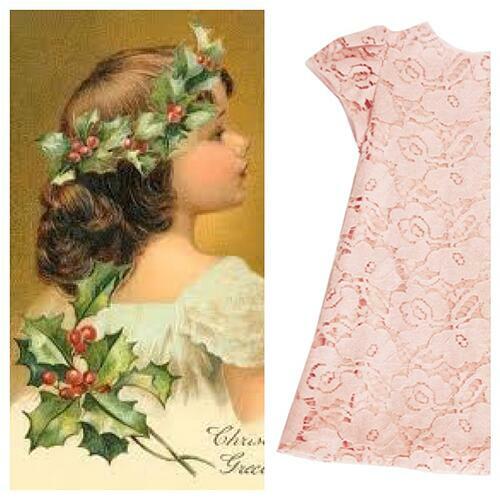 When thinking about your next gift purchase, or new holiday dress, give some thought to the brand that made it. If you find out that the person who made this product is being treated fairly, receiving fair wages and is able to sufficiently provide for his or her family, you have made this world a better place for all. We believe we can change the world one dress at a time and do it everyday. The giving season makes it all the more special. Best wishes for a joyful holiday season. At Isabel Garretón, holiday greeting cards are a tradition we love! It is fun to see our children, as well as our friend’s and family’s children grow over the years, and is the reason these cards become keepsakes in themselves. Selecting the children’s clothing, deciding where to stage the photo – indoors or outdoors, at home or in a studio – we know how much thought, time and planning goes into creating the perfect holiday portrait. 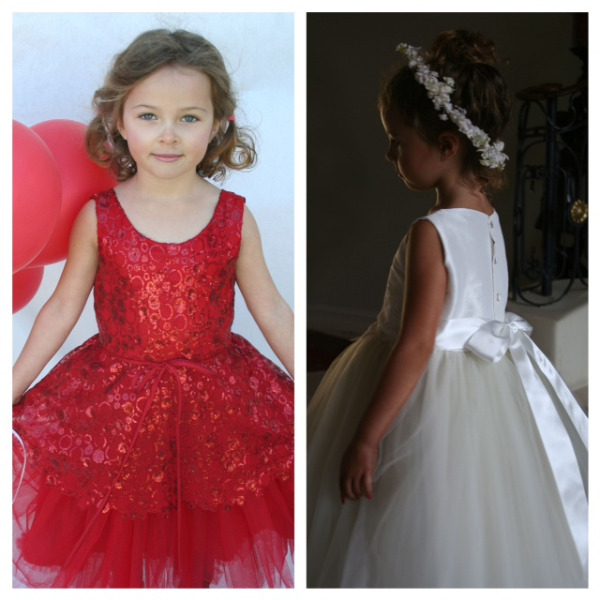 That’s why we thought we would share a few of the tips that have guided us through many a professional photo shoot of children modeling our Isabel Garretón designs. 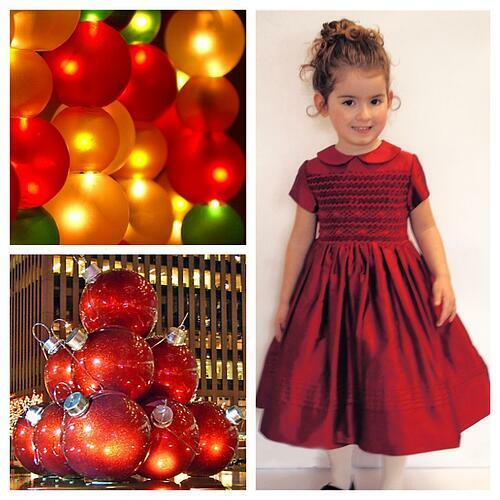 All children dressed in their holiday best are adorable. The key is capturing those irresistible moments that others will love too. Have fun! This is a visual adventure. 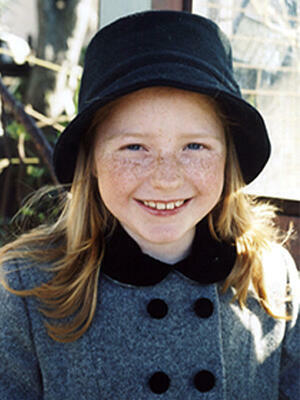 To bring out your children’s best smiles and expressions, take lots of snapshots of your children being children. Let them play with each other and hold props or sit in a chair. If they’re having fun, you’ll capture their true personalities. Avoid stiff, posed shots. It’s okay if they’re not all looking at the camera. Instead of asking them to “say cheese,” ask them to think of something funny or if they think Santa’s coming to their house. Learn how to tie a good bow. There’s nothing worse than a messy or out of place bow to spoil an otherwise great shot. Here are 9 steps to tie the perfect bow. 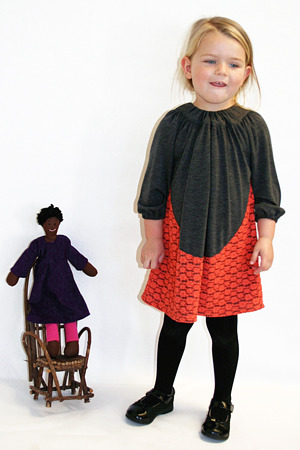 Dress your children in coordinating colors. 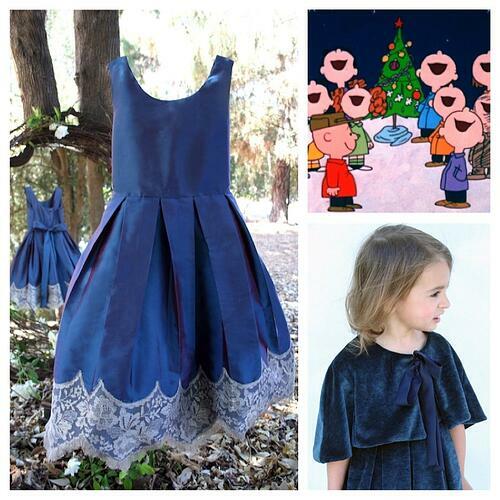 That’s not hard with Isabel Garretón holiday dresses. 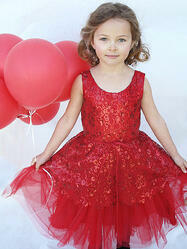 We especially love our chiffon and velvet A-line girls dresses that come in red and blue. 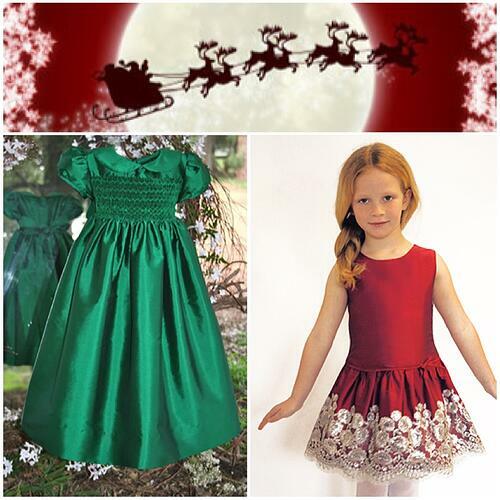 And we love our hand smocked silk dresses in classic red, green and blue holiday colors. 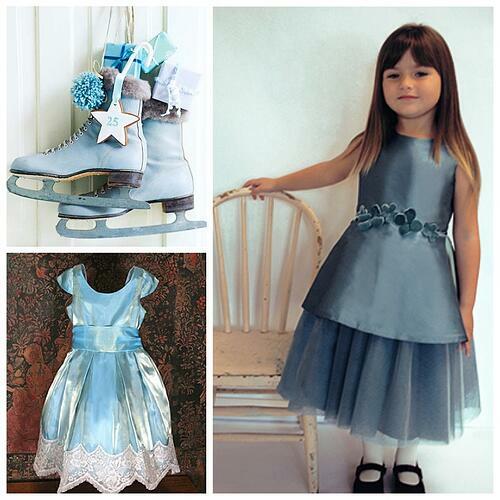 For a fancier look inspired by Victorian era holiday styles, our Surprise and Swing dresses with an organza overlay come in different colors that will make each sister feel special. Oh Baby! 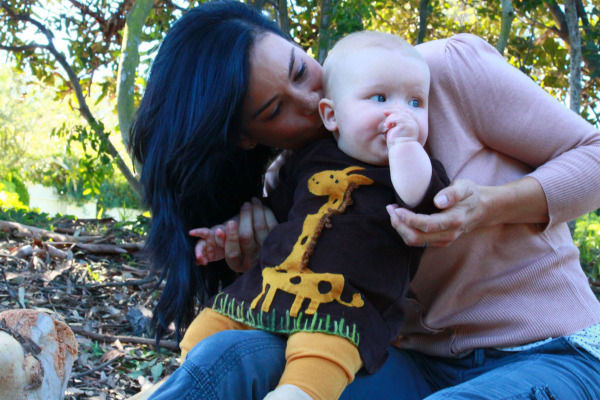 Isabel Garretón has baby dresses and rompers for baby boys so that the littlest members of the family fit the holiday theme. Accessorize! 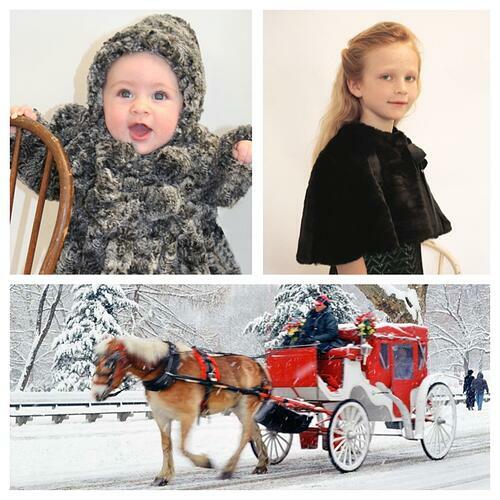 Holiday accessories, like matching purses and headbands, add polish to portraits and smiles to little girls’ faces! And don’t forget the tights and patent leather shoes. For baby, matching bonnets and booties are a photo must! 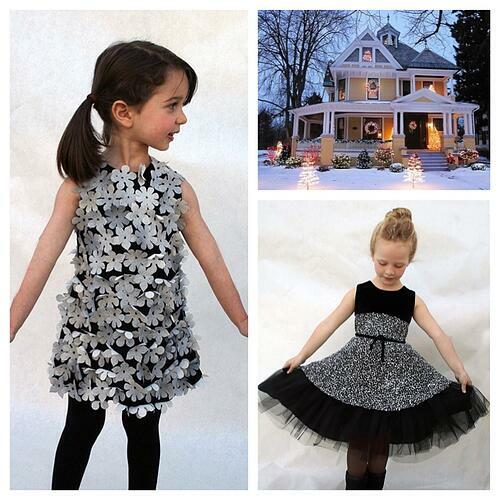 Dressing Little Ones for Thanksgiving Gatherings: Cozy and Beautiful Girls’ Dresses that are Oh-So-Perfect! Now that summer has turned to fall and Halloween is behind us, the holiday season has officially begun. While our thoughts naturally turn to Christmas celebrations, we also are gearing up for our first big family holiday of the season, Thanksgiving. Chances are, you’re already busy making arrangements to share this day of gratitude with friends and family from near and far. If your family is like mine, Thanksgiving is not a moveable feast. It is always at our place and the dishes we share are part of a long family tradition, where the cards with Grandma’s handwritten recipes are brought out and repeated year after year to everyone’s satisfaction. We gather together around the table before sitting down and everyone takes turns sharing something special they are thankful for this year. Laughter and teary moments come from this much-anticipated ritual. It is always so beautiful. The conversations, stories and discussions that come with the meal are legendary. Sometimes I think we hold back a whole year of thoughts just so we can share them for the first time on this special day. For these reasons, Thanksgiving has always had a more intimate and casual tone in my mind. Dressing for Thanksgiving should remain special. Dressing for the occasion honors an important family tradition and recognizes that this day is not like any other day. Your choice of clothing is shaped by your awareness of presenting yourself in a gathering wearing clothes that are comfortable and cozy, yet more elegant than your everyday outfits. Special accessories, like a headband or pretty cardigan, add polish and a lovely finishing touch. This is especially true for children who look forward to feeling special and still want to run around in the great outdoors and play games, indoors and out, with cousins and friends. As parents we are challenged to find children’s clothing that will make us feel proud of their appearance and give them the freedom to play without looking like they’re wearing their school clothes. That’s why I love gray and other neutrals. Gray, especially, is inherently dressy, and looks great layered with splashes of color and subtle embellishments, like ivory lace. Pair it with bright tights or a bright cardigan and you will have a happy look. Peter Pan collars, darker hemlines in equally rich fabrics, piping and even delicate flower details create a special touch. Our chocolate chevron pleated dress trimmed in soft velvet at the hem and collar is one of my favorites this season. Another favorite is the modern flair of the timeless black and white gingham dress, pair it with a nice coat and you are set! Those looking for something traditional, who are familiar with our designs, know we will always have the most beautiful hand smocked girls dress to consider. Depending on how chilly it is outside, you can choose from a selection of cozy soft faux fur coat or tailored wool girls’ coats. Wool bucket hats, bonnets, and muffs are icing on the Thanksgiving cake. 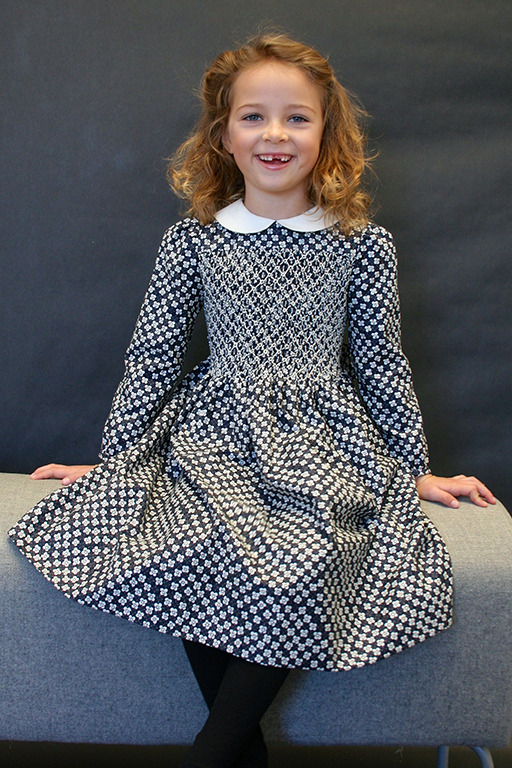 Craftsmanship, attention to detail and beautiful styling that brings a contemporary feel to traditional skills define Isabel Garretón girls’ dresses, and everything we do. Our designs are even more meaningful knowing that every stitch is made by artisans in Chile where, for more than 20 years, we have supported more than 100 seamstresses and embroiderers and their families, giving them opportunities to earn fair wages, break the poverty cycle and educate their children. Social responsibility is woven into each and every one of our beautiful pieces. We have much to be thankful for this Thanksgiving. My intention, always, is to wrap your precious family holidays in timeless elegance. My hope is that our beautiful garments will endure as your family heirlooms, to be preserved and passed from generation to generation, and worn at many family gatherings to come. 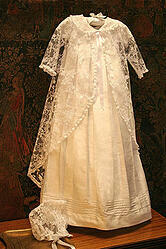 Having been in business for 20+ years, we have talked to a lot of Moms, Brides, Mother of the Bride, and Dads. We are proud to have been a part of many special family moments and are committed to work with each customer to make sure our service meets the exceptional standards we hold in every aspect of what Isabel Garreton is as a company and the products we bring to market. We thought it could be useful if we compiled and shared a list with answers to the most common questions we receive. 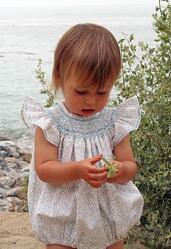 1Q: What size is my child in Isabel Garreton dresses? 1A: Our sizing is European and the cuts are generous. 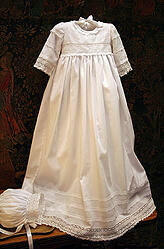 We provide the garment measurements in our size chart for dresses, bubbles, christening gowns. 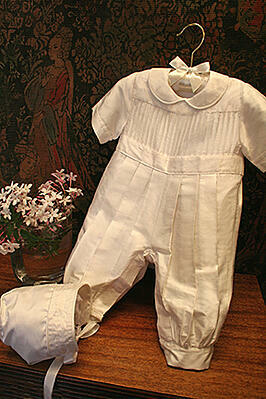 Remember these are the garment measurements, so they should be 2-3" wider than the child's measurements. Still not sure? 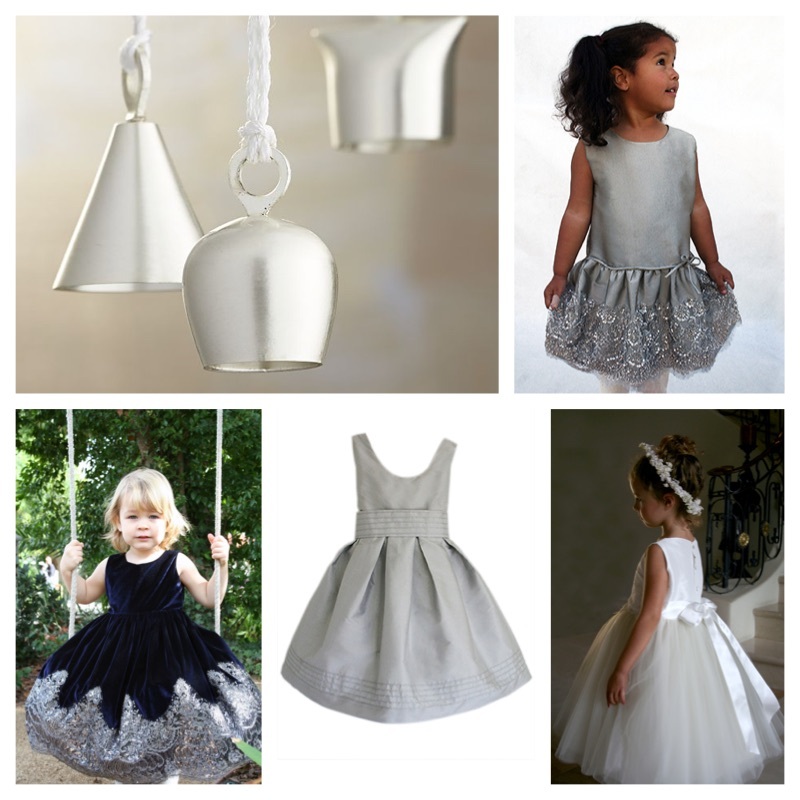 If you email us the measurements below at info@isabelgarreton.com, we can assist you in selecting the correct size. My child is petite, tall, thin, stocky; Can you make this IG style for her? I have religious requirements to add sleeves or additional length; Can you make these IG dress styles for me? A2: YES! 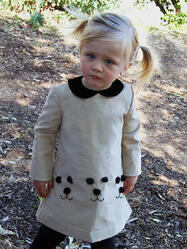 We own our manufacturing and are able to do custom cuts, different fabrics, color matching, etc. Depending on the style and fabric there is a small charge for custom pieces, and there are no refunds as we are making this just for you. Let us know what style you are interested in and our design team will review to see what is possible. Q3: How long will it take to get my order? A3: If we have your pieces in stock, they will ship in 2 days, and if they are out of stock, we have to order it from our manufacturer and will ship to you in approximately 2-3 weeks. Let us know your event date in your order comments and we will follow up within 24 hours. In a rush? We are often able to rush items, so give us a ring or shoot over an email and we can tell you what is in stock and what rush options are available! Q4: I want a different fabric or a different color to match my event, can IG do it? A4: Yes! 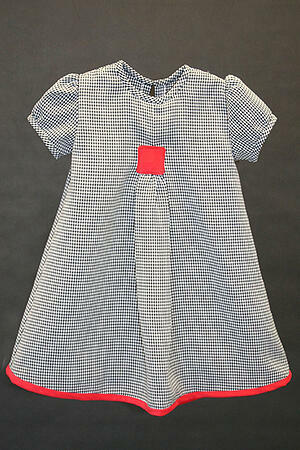 Many of our styles have different fabric and color options. Looking for a perfect match? Send us a swatch and we will color match it. This will require additional coordination with you, so the more time we have before your event, the better! Q5: What is your return policy? A5: If for any reason you are not pleased with what you receive, you may return any unworn item with tags within 10 days of receiving it and we will gladly exchange or refund you for the full cost of the item. Please note that, unless we have made a mistake, shipping charges cannot be refunded and there is a no return policy on custom made or personalized items. The exact steps for a return are here. An exchange should be immediate if the item is available, otherwise we will order the item from our manufacturer and ship to you in 2-3 weeks. Credit card refunds should appear in your next billing cycle. Q6: Do you ship Internationally? A6: We can ship to any country in the world. We ship Internationally standard using USPS and recommend Express or Priority shipping as it provides additional tracking capability. If you email us, we can also ship to your country via UPS, FedEx, DHL, or other couriers, if you have a broker in the US, we can work with them if preferred. Q7: Does Isabel Garreton Inc really help women? A7: YES! 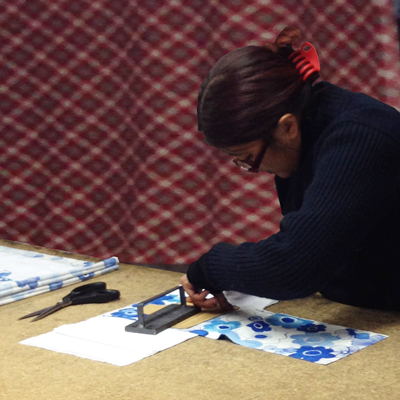 The company exists to provide a dignified work opportunity for underprivileged women artisans. Isabel Garretón began the company as a social enterprise over 20 years ago with women in her native Chile. She began with 21 women and has grown to support over 100 families. Every design is created to showcase the skills and craftsmanship of the artisans we work with, and are carried in the finest stores in the United States and worldwide. You can see a short video here. Contact us and we'd be happy to help! 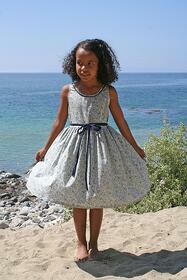 A favorite part of our job is the photo shoots of a new Collection with models. Children are just fun to be around, especially when they start out a bit self-conscious and progress to an all out performance during the shoot of... Special Occasion dresses for girls, Christening Gowns, the seasonal collection of girls dresses for Spring/Summer, or the back to school dresses from our Fall/Winter collections. Every season brings its own inspiration, mood, and atmosphere. 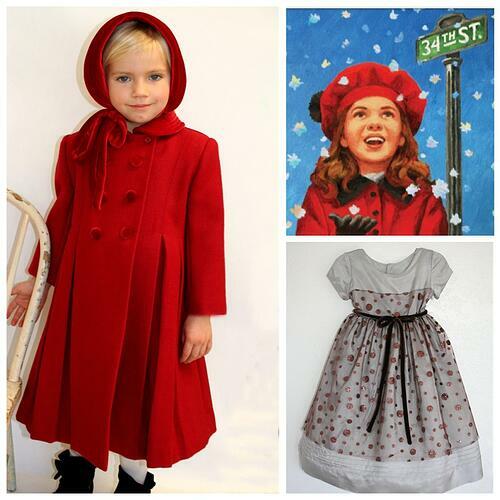 For example in the Fall/Winter and Holiday Collection of dresses we add soft and beautiful faux fur and wool coats for girls with matching Bonnets, Hats, and Muffs. All this dress up definitely informs the kids this is all special and they rise to the occasion. We keep it short and playful so everyone has a good time. They are happy to come back the next season; we like to think they have gained images of something they will want to remember when they grow up. Over the years we have seen that be the case as our models have grown up, gone forward with their lives, and even a few have brought their own babies to be models! It starts with finding the location, for Spring/Summer dresses and bubbles, the beach is hard to beat and since we are based in Los Angeles, California, this is easy. For Fall/Winter dresses, rompers and coats a forest-like setting is an adventure little girls (and not so little girls) love. 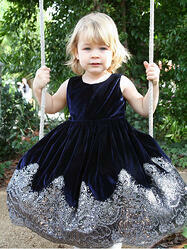 The big deal is the location for Holiday dresses and Special Occasion dresses. We aim at an environment that is less inspired by nature and more by the atmosphere that would surround an important event. Once we have the location, we contact our never ending number of fantastic Moms, willing to bring their little ones to the location on the day and time agreed. 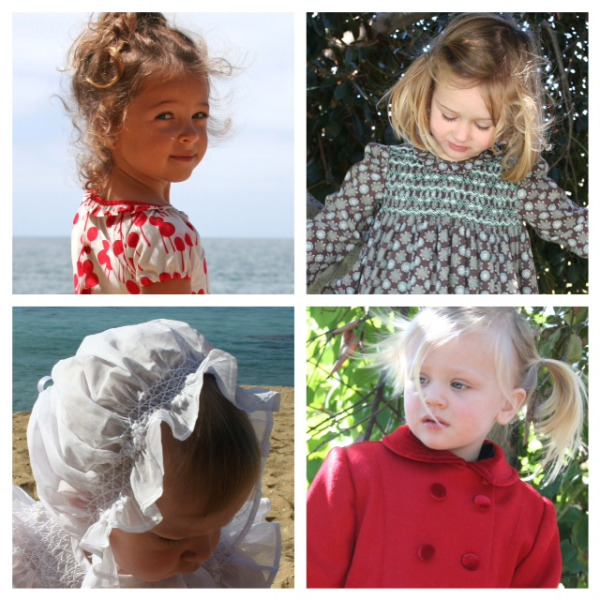 Back to School, Fall Winter dresses and Spring Summer dresses have our girls in and out of the many styles in a breeze, they climb the trees, play with the sand, and most of them are somehow disconnected from the camera and the pictures being taken as they play. 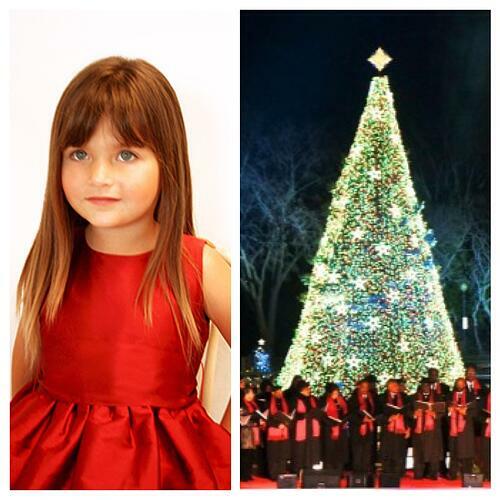 A Holiday dress or a Special Occasion dress photo shoot, brings out a completely different behavior from the little girls modeling. 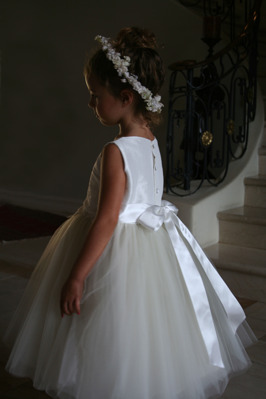 Once in the dresses, they acquire a princess like attitude. Without any prompting, they straighten up their back, they walk carefully, they pick up the sides of the dress going up or down steps…They know it…They feel it…They are beautiful. 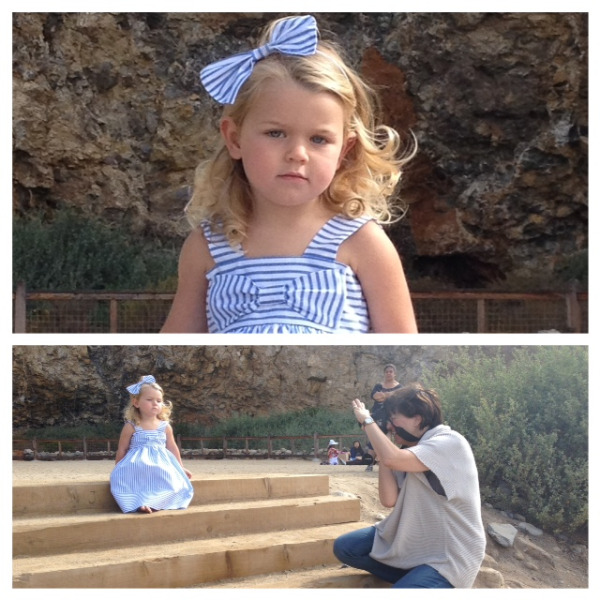 The moms and/or grandmas or dads on the spot are spellbound by the transformation of the same girls that were climbing trees or rocks in the prior photo shoot, the same girl whos mom said, "She doesn't wear dresses, she is a total tomboy." In the many years we have been doing photo shoots with girls of all races, sizes, and ages; we are all mesmerized by the behavior that comes from wearing a dress that feel special in all girls, even those as young as 2 years old! 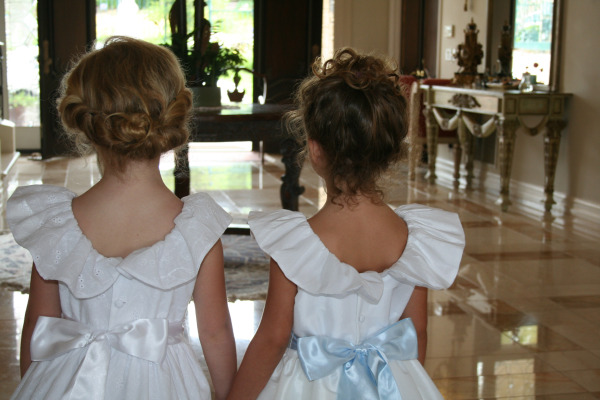 We wonder about the place of elegance and the multiple social graces that come with it. It seems so intuitive in these girls who, like all of us, live in a world that casual dressing informs most or all of our days and we wonder...Are we missing something? 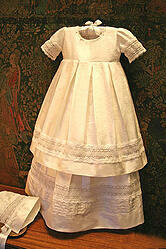 The design team is preparing three new Christening Gowns with matching bonnets: Layers, Once Upon a Time, and Renaissance. Each is lovingly and meticulously designed to be an heirloom piece that is passed on from generation to generation. We are also wrapping up the summer and kicking off the fall with complimentary shipping on our Spring Summer and Fall Winter styles in July. Use code JULYSHIP for complimentary domestic UPS ground shipping. Whether you are preparing for the neighborhood Labor Day bash and the last fireworks of the summer, or you've already stared getting backpacks and crayons ready (some for the first time), find in our site the perfect sundress for a hot summer day and first day of school outfit as the weather cools. Each milestone in our children's life is a special occasion, a memory to keep and share with friends and family near and far. Each milestone in our children's life is a special occasion and a picture is a memory to keep and share with friends and family near and far. 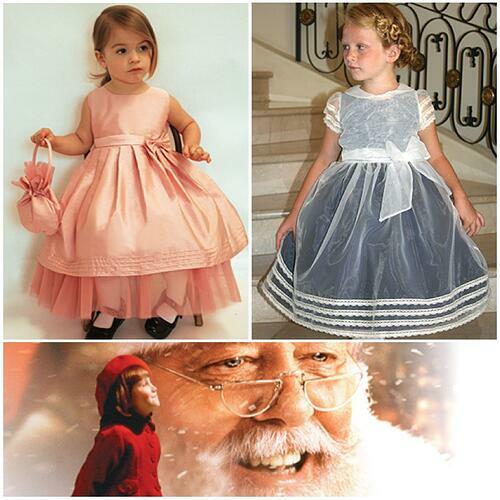 As the Summer changes to Fall, and Fall to Winter we are happy to provide the fun, beauty and elegance when needed, to keep every girl adorably dressed with the perfect outfit for memories of Picture Day, Halloween Parties, Family Thanksgiving, Fancy Winter Coats, and the portrait perfect Holiday dress! Stay in touch to see all the new designs first and we honestly love it when you share your pictures and stories by tagging @isabelgarreton or #isabelgarreton via Facebook, Twitter, Instagram, and Pinterest. You can also email us at info@isabelgarreton.com or call 310-833-7768.